Technical Car Experts Answers everything you need: Oil leaks from air filter on ford? PCV valve is shot. The oil leaks down the intake snorkle to the filter. Check the hose that runs from the valve cover to the air filter box. What is happening is refered to as blow-by. It happens when oil is pushed past the PCV valve at the valve cover. Simply replace your PCV valve, you can pick this part up at any parts store for under $10.00 usually. 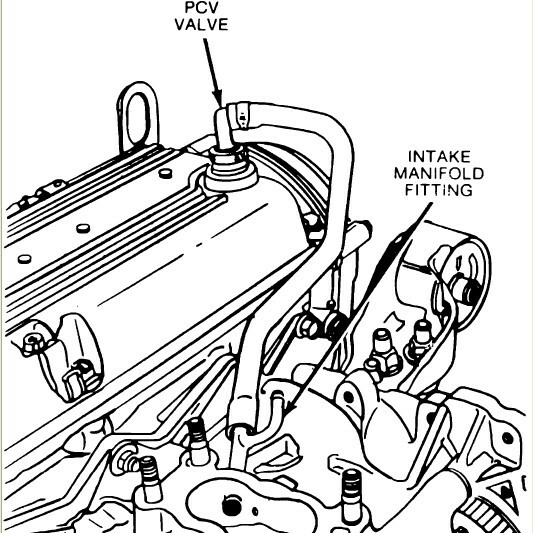 Your PCV valve is located on the valve cover, the hose you referred to is connected to it. If the hose is severely saturated with oil, go ahead and replace it. No special tools are needed. Your positive crankcase ventilation valve should have a hose running to the air filter. Does it? If not, you have a hose misrouted. Blow-by only occurs when your PCV valve is not working and instead of air going thru the system, oil is being forced thru it and accumulates in the air filter. make sure you have the right PCV valve. See the latest solved car problems too. Toyota Highlander Sport Oil change details? Car Turns OFF due to low oil pressure warning light? Oil pressure for 2001 gmc jimmy V6? How to replace Oil Pan on 2008 Honda Odyssey? How to replace Oil Pressure Sensor on 2008 Honda Odyssey? Oil light blinks on dashboard? Oil pressure issuers on Toyota Tundra?